Since I've been recommending the Malazan series earlier in the week, I thought Kallor was an appropriate addition. 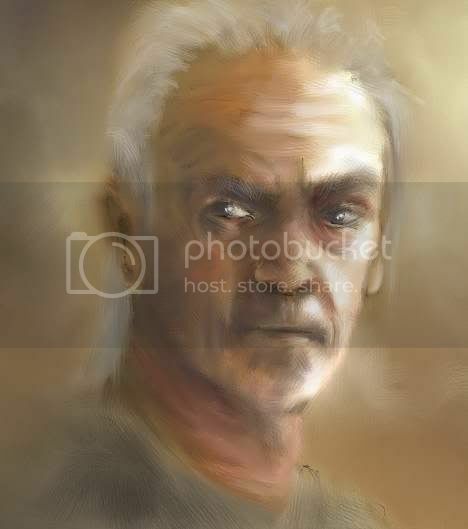 While some might argue he's more of a straight-out villain, Kallor definitely has antiheroic qualities: just see his motives with Silverfox! On those other hand, he's also a human monster who massacred his own empire so it couldn't be taken from him. Nasty enough yet? Which, as you can imagine, is quite interesting. They're not exactly antiheroes: but their distaste for the shadow, Hunger, seems to be more aesthetic than moral! you had me at Antihero. these are the guys (and girls) who get creative to get the job done, the peeps who are just as likely to shoot you as help you. the pirates, the rogues, the bitter ex-cops and the orphans. It's nice to know other people find them as interesting and alluring as I do, here I was, all this time, thinking it was my fluid amorality that made antiheroes so attractive.